The Royal College of Physicians (RCP) has dropped its opposition to assisted dying and adopted a neutral stance on the issue. 31.6% were in favour of supporting assisted dying. 43.4% felt the RCP should oppose any change in law. 24.6% said they would be prepared to participate in assisted dying; 55.1% said they would not. The RCP said the failure to get a 60% majority either way means it will now adopt a neutral stance on the issue. 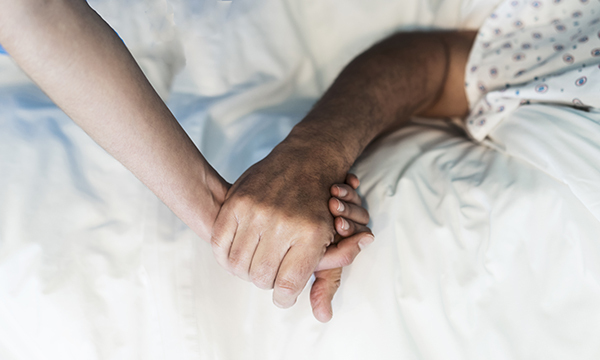 The RCN adopted a neutral stance on assisted dying in 2009. Four doctors have said they will seek a judicial review over the poll, but the RCP said this was rejected by the High Court on Thursday. RCP president Andrew Goddard said: ‘It is clear that there is a range of views on assisted dying in medicine, just as there is in society. We have been open from the start of this process that adopting a neutral position will mean that we can reflect the differing opinions among our membership. Sarah Wootton, chief executive of Dignity in Dying, an organisation that campaigns for change to the law on assisted dying, said the move was ‘highly significant’. But campaigning group Living and Dying Well, which highlights the complexities of the issue, said the decision had damaged the college’s reputation as a professional body.